Slow PC? PC won’t start? Windows errors? First, you will receive quick PC service that has your computer running like new again. If you ever have accidents with your computer that does not have a warranty, don’t worry. Our computer repair technician Kewdale will provide expert service to fix your problems! We will do so because we value the business of our clients. non-working keyboards and other Mac issues. Located in Kewdale and all of Perth is Aleph IT and we are a full-service computer repair company. Specifically, we specialise in computer, tablet, Mac repair and data recovery. 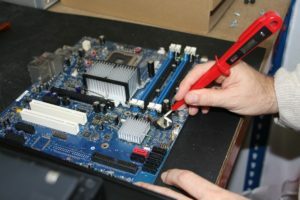 Moreover, Aleph IT provides computer and PC repair Perth and IT services for your comfortable home or office. Our computer repair technician will provide you with home and off-site services like your office at your specified time. Also, we offer pick-up and drop-off computer services. Our business has been established to offer fantastic customer service as well as high-quality computer repairs with quick results. We take great pride on our well-trained computer repair technician Kewdale because of their dedication to give you quality service. They don’t even mind the long hours of work because they ensure to give quality output. Our well-trained staffs are offering these services as per the demands of our clients. We believe in offering precise solution of our client’s needs and assist them accordingly. Our organisation is recognized in the industry for offering computer repair services with the best repair technician. Furthermore, they are widely appreciated by our clients for featuring various attributes like reliability, promptness and cost effectiveness. Lastly, let us hear your requests by giving us a call! Get the best from our computer repair technician Kewdale. This entry was posted in Aleph IT Services and tagged affordable computer repair, certified computer repair technician, computer repair, computer technician.